the amsterdam-based sound artist and composer martijn tellinga presents a selection of experimental short films and videos. these dutch films share the goal of establishing a direct connection between image and sound. on may 7th, a two-week-long working process for two different productions will begin in the kubus. on the weekends, visitors are invited to open studios to observe and examine the work. during the first week, hans peter kuhn will draw up a study for a light and sound installation, which plays with the possibilities of the space and takes first steps towards realizing them. during the second week, junko wada [dance], michael rodach [guitar], and hans peter kuhn [sound composition] begin work on a dance performance. 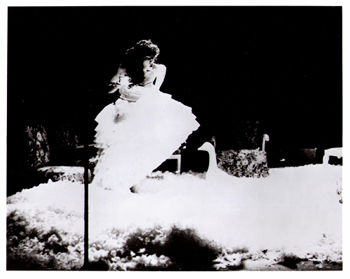 junko wada's concentrated and very personal dance enters into dialogue with the opposing sounds of acoustic guitar and electroacoustic computerized sounds. improvisations at the beginning slowly develop into a form. benzo - artists richardas norvila and oleg kornev - are interested in the relationship between electronic instruments themselves, and the contexts in which their originators were moved to create them. after research and practical experimentation with the subharcord, benzo will develop a performance which includes not only audio and video elements, but also spoken word and performative aspects. frank bretschneider works as a musician, composer, and video artist in berlin. known for complex rhythmic structures, precise timing, and intricate textures, bretschneider's subtle and refined music is echoed by visual accompaniment: the perfect translation of musical qualities into their optical counterpart. with kippschwingung, frank bretschneider combines his never simple, and yet undeniably intimate relationship to rhythm, with the particular sound aesthetics of the subharcord. 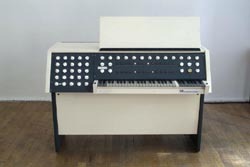 using the 'rhythmisizing equipment' which was developed for the instrument, and the intense, abstract sounds, whose character is a middle ground between sound and tone, he will attempt to merge a nearly forgotten technology with contemporary techniques of production and music-making. it has been five years since the new york composer and vocal artist shelley hirsch last performed in berlin; it has been seven years since she last showed her own work here. 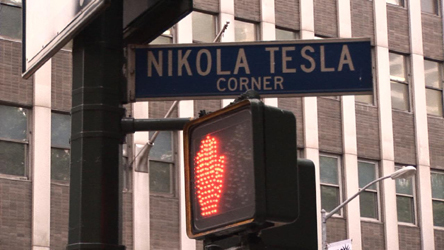 since may, she has been in residence at tesla, working on two projects: an installation about her parents, and a piece about bernhard herrmann, who composed the film scores for psycho and taxi driver. her working process has revealed that these two subjects have more in common than she first suspected. during the first part of this evening, shelley hirsch will present a work-in-progress which focuses on the idea of a soundtrack of life: fragmentary moments of identification and association - an inventory of stories, music and video. for the second part of the evening, she will be joined by aki onda and tony buck, and together, the trio will open up new perspectives on the themes of the evening. in particular, aki onda works for years with cassette memories, using multiple cassette walkmans, electronics and field-recording sounds that he has recorded himself as a diary for more than a decade. pianos which arbitrarily turn letters into musical tones, loudspeakers which translate images into a choreography of sounds: in the context of the poesiefestival berlin, the literaturwerkstatt berlin is offering the exhibition avatar: digitale poesie from québec, presenting installations by jocelyn robert, christof migone, émile morin and sabica senez. digital poetry works with hybrid texts, combining writing, image, and sound on the one hand, with the symbolic languages of computers and the internet on the other. jocelyn robert and émile morin's installation leçon de piano connects linguistic melody with musical melody. a french version of elfriede jelinek's die klavierspielerin [the pianist] is projected onto the keyboard of a piano which plays notes according to the letters of the text - jelinek becomes music. sabica senez developed a new multi-channel sound installation especially for this exhibition - in a phone booth. visitors can dial in a vocal performance using the telephone receiver and installed speakers. jocelyn robert designed a choreography for 48 loudspeakers for the installation l'origine des espèces. 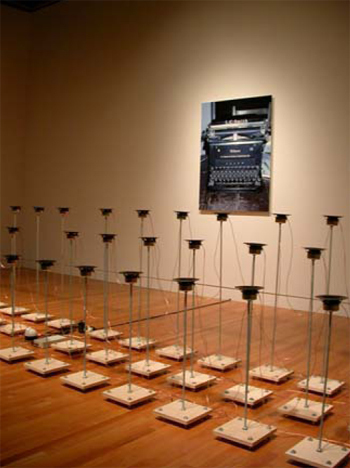 in it, the digitalized image of a mechanical typewriter is transformed into an audio signal, making the language behind the image audible. the artistic label avatar was founded by jocelyn robert and is known in the media art world for imaginative examinations of language and communication. this is the group's first appearance in berlin. pierre-andré arcand will give a performance at the opening. the exhibition avatar. digitale poesie is part of the 8th poesiefestival berlin [23. june - 01. july 2007] and is presented in cooperation with tesla.